Halloween Makeup Tutorials, Costume Ideas and Party Planning - The Best Halloween Ideas! Halloween makeup tutorials, costume ideas, and party planning tips! Your go-to source for unique Halloween and Fall ideas! See more awesome makeup ideas and tutorials (just in time for Halloween). 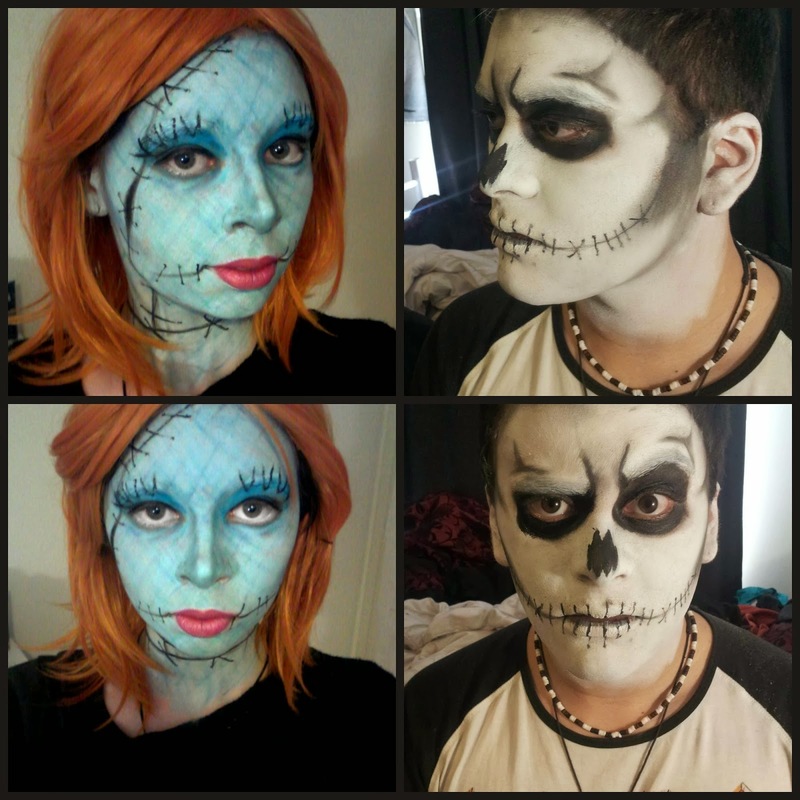 Click the link to go back to our Halloween Makeup and Costume Blog! 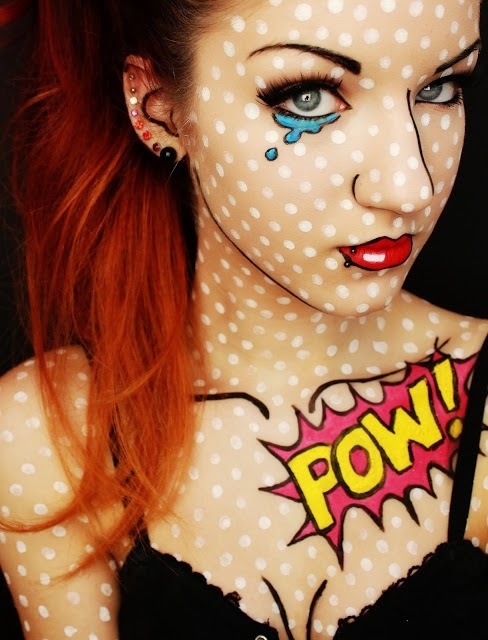 Last Halloween I decided to go as a "Comic Book Girl" or "Pop Art" after seeing pictures online This is an AWESOME, original idea that is actually super easy to create using minimal makeup. You'll be sure to stand out. 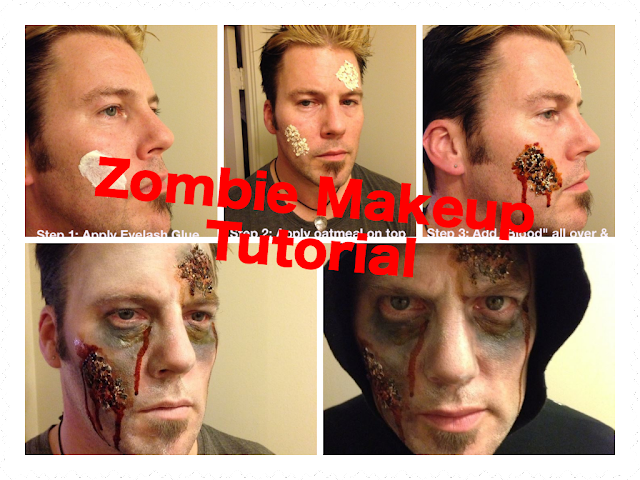 Take a look at the pictures below (photo set from ) and the how-to comic book girl makeup step by step tutorial below! I've also included links to purchase the exact items needed to make it easier. Last Minute Halloween Idea: 4-Step "Bloody Zombie Makeup" Using OATMEAL & GLUE! Halloween is only two days away! If you're looking for a quick, last minute costume / makeup idea, try on the "Bloody Zombie" look for size! I wanted to try to do a super simple and quick look, using "ingredients" that most people already have at home. You won't have to run out to a Halloween supply outlet, and anything you don't already have in your cabinets can be found at your local grocery or drugstore! I gave myself FIVE minutes to pull together this look, from start to finish (and that included taking the photos). Special thanks to Justin, who volunteered to be my "model" / guinea pig and turn him into the undead. Below I have included a tutorial / instructions. Nothing below is written in stone- the great thing about this look is that the only items you *really* need to stick by the books for is the oatmeal and glue for the wounds. You can use almost anything to get the blood color. Let's be honest- when it comes to Halloween costumes, girls typically seem to have many more options than males. But it doesn't have to be that way! 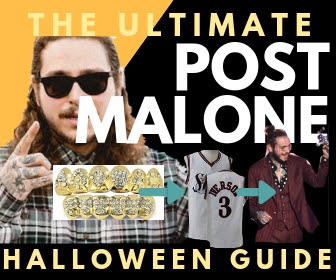 If you're looking for a unique men's Halloween costume idea that's the perfect amount of pop culture mixed with cool, all it takes is a little planning to put together the perfect Post Malone Halloween Costume...and we're giving you all the step by step instructions! Post Malone has been a breakout rap star since "White Iverson" was released and his success skyrocketed with "Congratulations" & "Rockstar". Everyone knows who Post Malone is, so you won't have anyone questioning "Who are you supposed to be?" when walking into a Halloween party, and dressing in costume as Post Malone is SO much better than the over-done, off the rack costumes the big box Halloween stores sell. Follow the below steps to be the star of any Halloween event you attend! Mummy Meatloaf - A Fun Halloween Dinner!